Councillor Alan Williamson has lived in Milton Keynes for over 40 years, with the last 11 living in Beanhill. 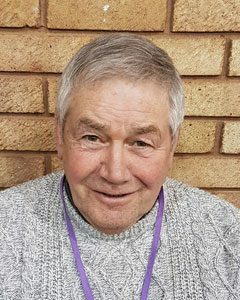 He stood as an Independent councillor for the Beanhill estate in the 2015 elections, as he was interested in the Regeneration programme and what it might mean for local people and what benefits it could bring to Woughton. Cllr Williamson has learned a lot since becoming a councillor, attending meetings regularly, visiting other groups and being part of council committees. Over the past couple of years, Cllr Williamson has also been the Woughton Ambassador, representing the council at many external events and meetings. Cllr Williamson was instrumental in setting up the local branch of ‘Men in Sheds’, welcoming all people to learn new skills, build new things and reducing the amount of waste across the parish. Having now got their own ‘shed’, this group is going from strength to strength. Cllr Williamson is always happy to help when he can, so please don’t hesitate to get in touch.